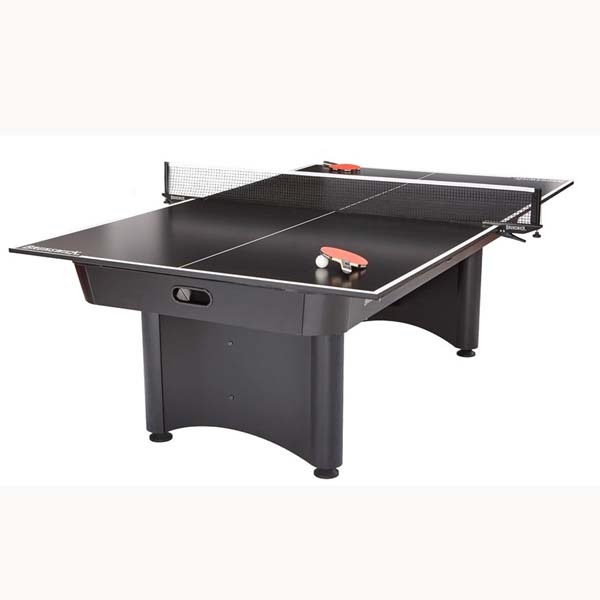 Perfect for the recreational player's game room, the V-Force Air Hockey Table from Brunswick Billiards and Family Leisure provides the very best features at a great value. Prepare to spend hours with family and friends in heated competitions when you bring home this air hockey table from Brunswick Billiards and Family Leisure! Top Size - L92.25" x W54"
This item requires freight delivery. This shipping method uses a full size semi-truck and product will be delivered to a street-side location or into a room of choice based on the level of service requested (check white glove in drop down menu to right of main image). Expect delivery of this item between two and three weeks of order placement. A representative will call to schedule your delivery which will require a signature upon receipt.